If you are over at Pinterest, like I am, you see the awesome pins of all the cool bracelets that are doing their thing right now. Some pins are for #DIY some are for retailers where you can buy them. Everyone from Ralph Lauren, to Anthropolgie, to individuals at Etsy are in on this trend. I personally am fascinated with this trend. All the colors and textures available - stacking them on your arm is to me, beautiful. Beautiful in a fun, casual kind of way. And the fact that Ralph Lauren is doing them too doesn't hurt! It also doesn't hurt that I wore these back in their origin. 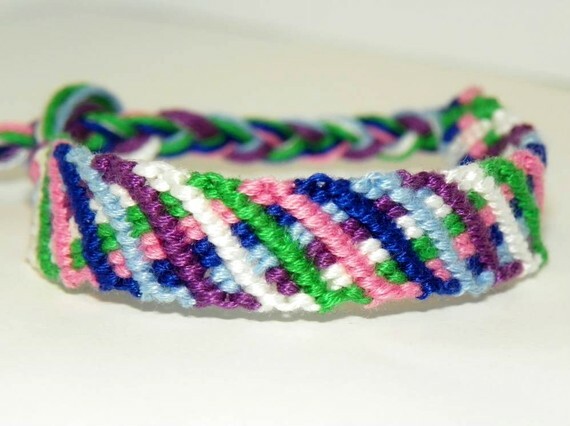 Lots of good memories of making and trading friendship bracelets. I'm glad to see them again! I have several favorite places to buy friendship bracelets at Etsy. EmbroideryFloss is one of them. 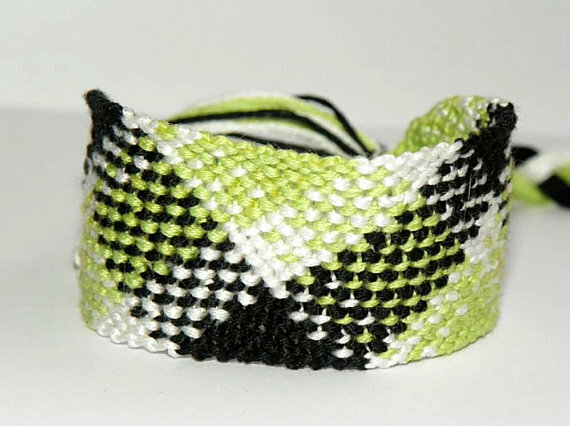 She offers traditional, old school style bracelets - the nice thick ones all the way down to the braided small ones. Bracelets range in price from $1 - $12 - totally affordable! Her customer service was great. I received a personalized bracelet and it came out just as I hoped it would. She stayed in close contact via email, and shipping was super quick! One lucky winner will receive a bracelet prize pack of a few of EmbroideryFloss best sellers! *Follow me @jamaise at Twitter & Tweet this : RT @jamaise #GIVEAWAY #WIN EmbroideryFloss ~ Friendship Bracelets~ Prize Pack http://bit.ly/oAWvoz Ends 9/16 tweet each day for one entry each ! --- I really love the Bright Modern Tribal Friendship Bracelet. [ Entry 1 ] --- I liked Embroidery Floss under: Nicole O. 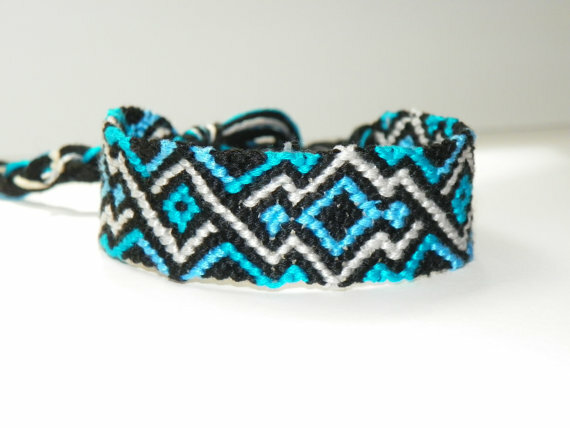 [ Entry 2 ] --- I liked Embroidery Floss under: Nicole O. [ Entry 1 ] --- I'm following via Networked Blogs under: Nicole O. [ Entry 2 ] --- I'm following via Networked Blogs under: Nicole O. 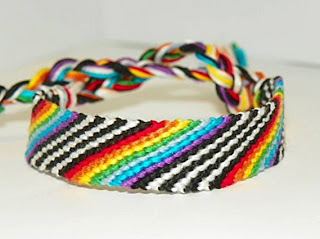 --- I'm currently entered in the Maggie Rossetti Jewelry Friendship Bracelet Giveaway. GFC follower and I like the Wave bracelets! I think my favorite is the Girl Power bracelet. 1. I like EmbroideryFloss on facebook. 2. I like EmbroideryFloss on facebook. 1. I follow your blog through GFC. 2. I follow your blog through GFC. 3. I follow your blog through GFC. 1. I follow you through Networked Blogs. 2. I follow you through Networked Blogs. I entered the Bluum giveaway. I entered the Creo giveaway. I entered the Zone Diet giveaway. I'm a gfc follower. I like the pink and purple mosaic bracelet. I like the lime, white and black colored bracelet and am GFC. Thanks!